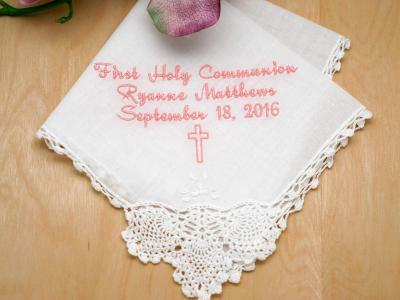 Give your favorite person your blessing with this cute handkerchief. 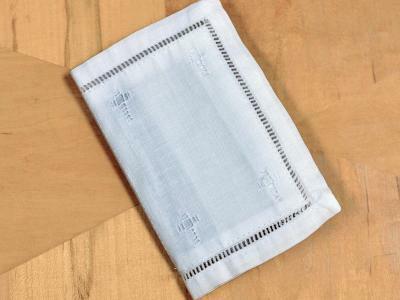 This bright and sweet hankie will surely put a smile on your loved ones' faces. Pink tulips symbolize attachments to one another and is a sign of caring. 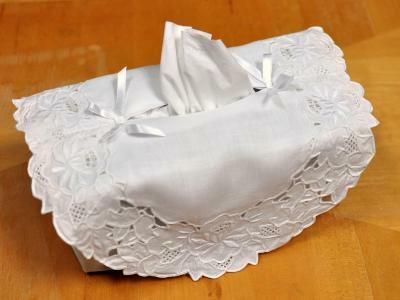 Show them how much you care for them with this lovely hankie. 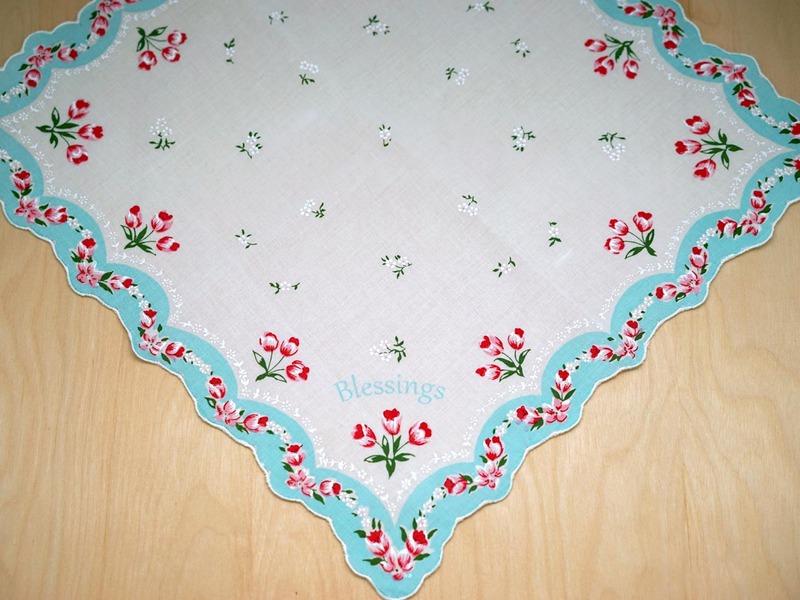 Decorated with pink tulips over a bright white and teal background and it has the word 'Blessing' written on it. 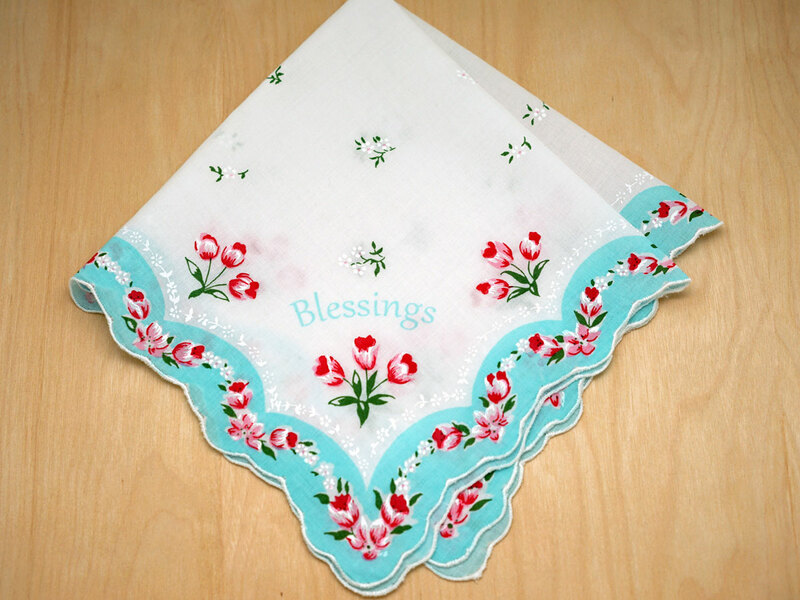 God's blessings protect us and help guide us to the path of happiness and righteousness. 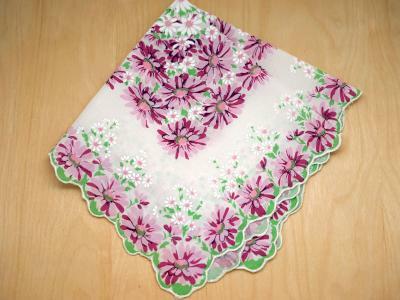 Vintage Inspired Floral Blessing Print Hankie Customers have rated this product	5 out of 5 based on 3 rating(s). 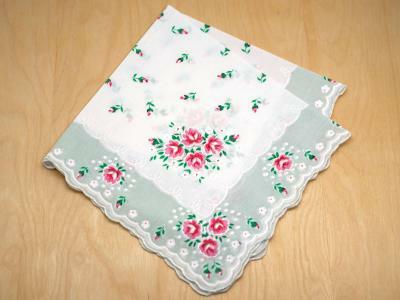 Handkerchief is well made and it is beautiful . 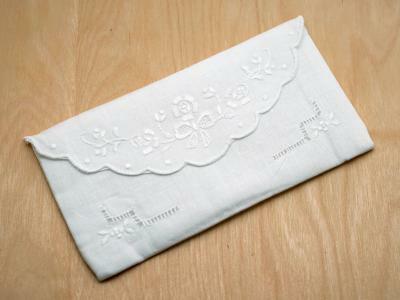 The word “Blessinds” written on the handkerchief makes it even mor special Thank you for a lovely product, AnnaMaria..